The achievements of four COMET scientists have been recognised in a recent spate of prizes! Juliet Biggs, Reader at the University of Bristol, has been announced as a 2018 Philip Leverhulme Prize Winner, recognising her outstanding research in volcanology to date and future potential. Juliet studies the physics by which plate boundaries develop by studying active volcanoes and earthquakes. Her work on Africa’s Great Rift Valley has demonstrated the relative role played by volcanoes, magma intrusions and faults during continental rifting. Globally, she has discovered that many volcanoes previously believed to be dormant are actually restless, and investigated the link between deformation and eruption, and the mechanisms for coupled eruptions. Her work has changed the perception of geophysical hazards in Africa and the way in which volcanoes are monitored and modelled globally. Juliet will use the prize to investigate the mechanisms that drive volcano deformation globally, by exploiting the new wealth of satellite data. This will include methods for combining satellite deformation and gas measurements to provide a new perspective on the role volatiles play in eruptions, and using deep learning tools to interrogate large datasets. Tamsin Mather, Professor of Earth Sciences at the University of Oxford, meanwhile received the 2018 Rosalind Franklin Award from the Royal Society. This award recognises her achievements in the field of volcanology as well as her ability to communicate with the public. Tamsin delivered the Rosalind Franklin Award Lecture on 18 October, speaking on how lessons learned sitting on the edge of an active volcano today can give us insights into some of the most profound environmental changes in geological history. With her award, Tamsin will now be implementing a project that raises the profile of women in STEM. Philip England, Chair of Geology at the University of Oxford, has been awarded the AGU Walter H. Buchner Medal 2018. This is given every two years in recognition for “original contributions to the basic knowledge of crust and lithosphere.” Professor England will be awarded his medal at the AGU Fall Meeting later this year. Finally, our congratulations go to the 2019 Thermo-Fisher Scientific VMSG awardee, Dr Marie Edmonds, Reader in Earth Sciences at the University of Cambridge. This award is bestowed annually on an individual who has made a significant contribution to our current understanding of volcanic and magmatic processes, and Marie will give the VMSG keynote lecture in January 2019. COMET’s achievements in Earth observation and modelling have been recognised by the Royal Astronomical Society (RAS) in their latest round of awards. The 2018 RAS Group Achievement Award in Geophysics acknowledges COMET’s success in using satellite and ground-based observations and geophysical modelling to study earthquakes, volcanoes and tectonics across the globe. In granting the award, the RAS highlighted COMET’s contributions to satellite geodesy, particularly Synthetic Aperture Radar Interferometry (InSAR), which has significantly improved COMET’s ability to respond to tectonic events. Notably, COMET’s InSAR capabilities allowed rapid and in-depth investigations into the 2016 Amatrice, Italy and Kaikoura, New Zealand earthquakes. Sentinel-1 interferogram of the ground deformation around Amatrice, Italy due to the 24 August 2016 earthquake. The launch of LiCSAR, COMET’s automated processing system, in December 2016 represented a major forward step in managing the vast amounts of data generated by the Sentinel-1 constellation, part of the EU’s Copernicus programme. LiCSAR is enabling scientists to study specific earthquakes and eruptions as well as longer-term records of tectonic strain and ground deformation around volcanoes – including potential signs of eruption. The service is already providing high-resolution deformation data for the entire Alpine-Himalayan seismic belt, where most of the planet’s deadly earthquakes occur, and will be expanded to provide global coverage of the tectonic belts over the next few years. COMET is also using automated Sentinel-1 data alongside other techniques to monitor deformation at over 900 volcanoes worldwide, including regions with hazardous volcanoes that have no ground-based monitoring in place. The ultimate goal is to monitor all active land volcanoes, around 1,300 in total. Elsewhere in COMET, satellite imagery is being combined with topographic data and fieldwork to create a database of active faults in the Tien Shan, a region of high seismic hazard in northern Central Asia. Working with international partners, this is creating a robust regional model of strain accumulation and release that can be used in hazard management. Atmospheric studies are also central to COMET’s work. The satellite-borne Infrared Atmospheric Sounding Instrument (IASI) is being used to monitor volcanic ash and SO2 emissions such as those from Holuhraun (Iceland), whose eruption in 2014-15 was a major source of SO2 emissions. Holuhraun’s remoteness made it difficult to monitor the volcano from the ground, especially during the harsh Icelandic winter, but using IASI data, COMET was able to provide insights into both the volcano’s behaviour and its environmental impacts. The same approach has now been extended to other remote volcanoes such as Kamchatka (Russia) and Tungurahua (Ecuador). These are just a few aspects of COMET’s work, carried out by researchers across the UK as part of national and international collaborations. At the same time, COMET is supporting a vibrant community of around 80 research students, working on topics ranging from monitoring volcano deformation to modelling earthquake sequences. There is a strong commitment to developing the next generation of researchers, with COMET providing bespoke training to both members and the wider community on interpreting InSAR and GPS data to better understand geohazards and achieve scientific goals. Moving forward, COMET remains committed to providing open data on earthquakes, tectonics and volcanoes to support scientists worldwide, and providing greater insight into how the Earth is deforming. The NERC-funded UK Centre for Observation and Modelling of Earthquakes, Volcanoes and Tectonics (COMET) provides national capability in the observation and modelling of tectonic and volcanic hazards. COMET delivers services, facilities, data and long-term research to produce world-leading science that can help the UK and others to prepare for, and respond rapidly to, earthquakes and eruptions. Further information can be found at https://comet.nerc.ac.uk. COMET was founded in 2002, rapidly becoming a world-leading centre for the integrated exploitation of Earth Observation and ground-based data with geophysical models for research into geohazards. From 2008 to 2014, COMET formed a theme within the National Centre for Earth Observation (NCEO). Since 2014, COMET has worked in partnership with the British Geological Survey (BGS). COMET is currently distributed across nine UK academic institutions: the universities of Bristol, Cambridge, Durham, Leeds, Liverpool, Newcastle, Oxford and Reading and University College London. A full membership list can be found at https://comet.nerc.ac.uk/whos-who/. The Royal Astronomical Society (ras.org.uk) was founded in 1820 to encourage and promote the study of geophysics as well as astronomy and solar-system science. The Group Award recognises outstanding achievement by large consortia in any branch of astronomy or geophysics. The full citation for COMET’s award can be found via the RAS website. LiCSAR, the COMET-LiCS Sentinel-1 InSAR portal can be found at https://comet.nerc.ac.uk/COMET-LiCS-portal. LiCSAR is funded by NERC via COMET (COME30001), the Looking inside the Continents from Space large grant (NE/K011006/1), and the Earthquakes without Frontiers project (NE/J01978X/1). COMET scientist Juliet Biggs will receive the 2017 Geodesy Section Award at this year’s American Geophysical Union (AGU) Fall Meeting, to be held 11–15 December in New Orleans. The award recognises Juliet’s outstanding contributions to the field of satellite geodesy for understanding both active volcanism and faulting. You can read the full article on the AGU’s Eos website. COMET Research Associate Dr Paola Crippa, from the University of Newcastle, has been awarded a prestigious L’Oréal-UNESCO National For Women In Science Fellowship. This programme encourages greater participation of women in science across the globe by promoting and rewarding outstanding female postdoctoral researchers. One of five winners, Paola was selected by a jury of eminent scientists, chaired by Professor Pratibha Gai who was L’Oréal’s International Laureate in 2013. Her research, focusing on particulate matter transportation and implications for human health, integrates model results with satellite data to more accurately predict population exposure to harmful concentrations of particulate matter. Paola will not only benefit from financial support for her research, but also a raft of career and life enhancing experiences such as media training, personal impact coaching, speaking opportunities, networking events and access to senior mentors and role models. Congratulations Paola from all at COMET. Two COMET scientists are to receive prestigious awards from the Geological Society of London. The Society, which has been recognising significant achievements in the Earth sciences since 1831, will be presenting its Wollaston Medal (its highest award, for impacts on pure or applied geology) to COMET’s James Jackson, Professor of Active Tectonics at the University of Cambridge. Professor Jackson’s work includes research into active tectonics in New Zealand, Iran, Turkey, Greece and Tibet, where he has made vital contributions to understanding the evolution and deformation of the continents, from individual faults to mountain belts. 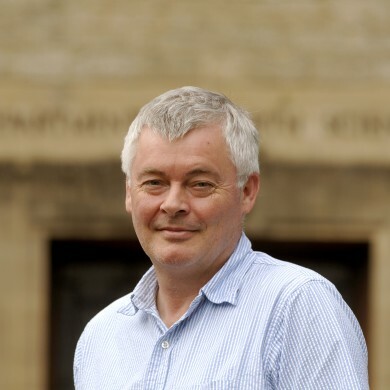 Professor Geoff Wadge of the University of Reading will meanwhile receive the Murchison Medal, awarded to geologists who have contributed significantly to ‘hard’ rock studies. Professor Wadge is being recognised for his contributions to geology and remote sensing, including research into volcanology, Caribbean tectonics, and volcanic hazards and risk assessment. The awards will be presented by Geological Society President Professor David Manning at President’s Day on 3 June 2015. A warm welcome to Austin Elliott who has just arrived in Oxford to take up a postdoctoral position in remote sensing and field investigations of active faulting and past earthquakes with Dr Richard Walker & Prof Barry Parsons. Austin is well known for his AGU blog Trembling Earth in which he covers the latest earthquakes. He was previously a PhD student at UC Davis in <a href="http://geology.ucdavis ou acheter viagra sans ordonnance.edu/research/research_groups/strutec.php”>Earth & Planetary Sciences.